Using oils and traditional methods learn to paint still life and landscapes, composition, perspective and capturing light. Beginners to intermediate. 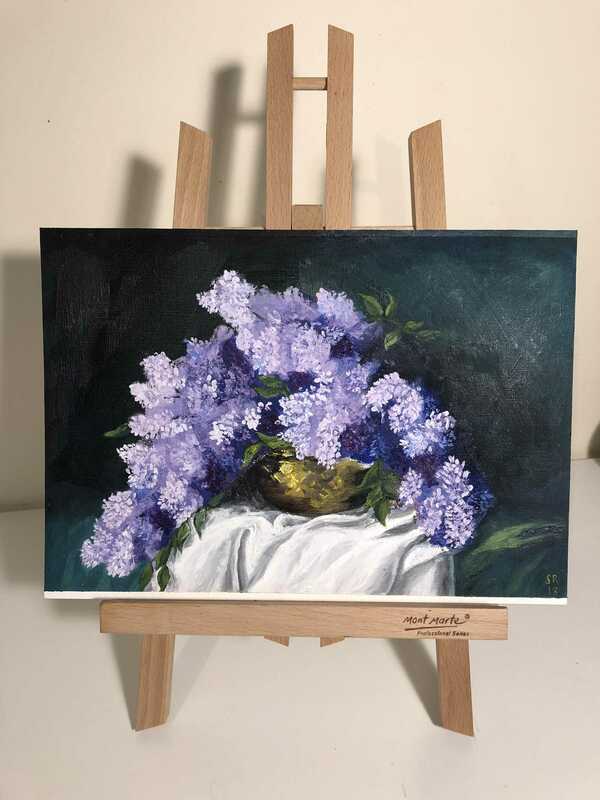 The aim of this course is to help you master the use of this versatile medium focusing on Still life and Landscape Painting in a realistic style. Understanding the foundations of drawing and painting with oils. Knowing your tools and materials including health/safety. •Understanding colour, tonal values, saturation and how to mix colours. Painting simple elements from the landscape such as trees, mountains, water etc.Landscape painting, covering topics which include composition, perspective and how to capture natural light using paint and colour. There might be a small number of sessions that will be out-doors. In order to be able to attend and to progress in this class you will need some prior experience in drawing or painting. If not, we will need to do some initial training in basic drawing. The aim of this class is to teach you to paint using oils and traditional methods that were tested and proved to work as from the time of the great masters. The style of painting is realism and so you will need to learn how to paint objects from life and as they look in the real world. After you learn the basic principles you are then free to develop your own style of realism and painting. During the first sessions we will work on very simple still life objects in full colour. You wll be trained to see shapes in each object, light and shadow and translate what you see in the 3 dimensional world onto your 2 dimensional canvas. During the class I will talk about a particular topic and demonstrate for you how to do it. Then you will start working on your own painting and I will guide you and demonstrate according to your own needs. you will need to buy. I always suggest that if you want to progress in this skill you will also need to do a lot of practice on your own and so you will need to setup a small space at home where you will be able to practice your skill and so you will also need some basic materials.